Green living is catching up in the Philippines today. A lot of people are now becoming health-conscious and are mindful of what they take inside their body. These are positive signs that people are now doing wise choices both for their body and also for the environment. Why go organic? Organic products do not contain harmful chemicals and pesticides which can cause cancer and other health problems. Organic products do not evade the balance of our environment, by eliminating the use of pesticides, it promotes healthy soil and protects our water resources from contamination. Going organic is a win-win situation for everybody. Personally, I’m slowly changing my ways too. When I go to the supermarket, I check on the labels and when I see something that’s organic, I choose them over other commercial products. I want to go the Salcedo Saturday Market one of these days for more varieties of organic vegetables and other products. The scope of organic products does not only pertains to the food that we eat. We should also keep in mind that what we apply in our skin will also find its way inside our body. Parabens, SLES, phthalates and petrochemicals which are commonly found in shampoos and personal care products are found to be carcinogenic. Thankfully, a lot of companies are now making more organic body care products and I’m one of those who started using them. DuWop’s Lip Venom is the bestseller if you want to have fuller bee stung lips. DuWop has won the hearts of beauty fanatics and now, also the Twilight fans. Vampire fever is on! DuWop is the make-up sponsor of New Moon movie, and in line with the New Moon movie, they will be releasing a line of vampire-themed make-up. The first release is the Lip Venom V, a limited edition Lip Venom set to release on fall. Lip Venom V retails at $ 16.99. I finally joined the BB cream bandwagon. 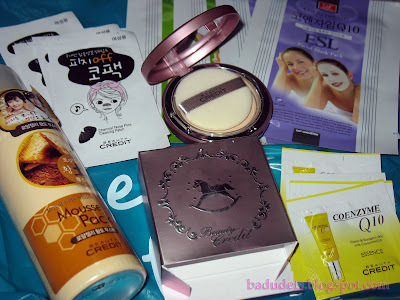 BB cream or Blemish Balm cream is the hottest beauty product craze in Asia and is slowly conquering other parts of America and Europe. It came from Germany, originally intended as after-treatment cream after laser surgeries. But the amazing results it gives caused others to use it in their beauty regimen. 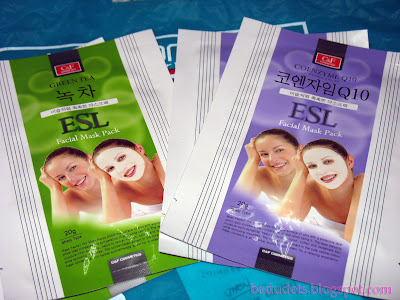 Soon enough, Korean actresses and actors use this too making it popular not only in Korea but in Asia as well. It’s confirmed! Karylle replaces Marian Rivera as the female endorser of Blue Water Day Spa. As early as April, news spread on who will be the next Blue Water Day Spa endorser. Days before their official launch, Mr. Francis Simisim gave us a sneak peek of the new Blue Water Day Spa website along with its newest endorsers, Karylle and Akihiro Sato. Akihiro Sato, a 24-year-old half-Japanese and half-Brazilian model, is a fast-rising name in the fashion/modeling industry. Ouch! This maybe the first impression when Brazilian waxing comes to mind that’s why most women resort to shaving or trimming. Aside from that, going to a waxing salon and undergo Brazilian waxing, baring it all with a complete stranger is the most embarassing and most uncomfortable thing to do. My adventurous side led me to try Strip It cold wax I found in Multiply. It is a ready-to-use hair removal cold wax made out of sugar and honey, hence the new term “sugaring”or Persian waxing. When sugaring, I don’t have to go to a waxing salon because I can do it right in the comforts and privacy of my own room. The Strip It cold wax comes with complete instructions on waxing manual, a wooden spatula and reusable cloth strips, all you need is a little courage and you’re all set. 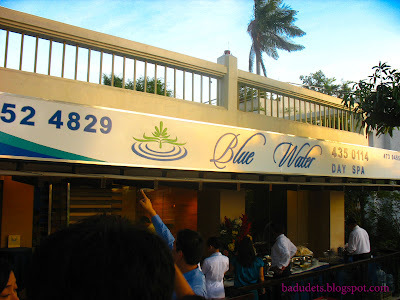 I’m one of the 10 bloggers who was invited by Mr. Francis Simisim of Techfilipino.com to witness the unveiling of the newest branch of Blue Water Day Spa at Capitol Hills, Quezon City. I failed to experience the Spa Movie Theater at their Ortigas branch because of conflict on my schedule so I vowed to myself not to miss this one. Aside from that, I am ecstatic to meet Piolo Pascual and Marian Rivera in person, the two are the celebrity endorsers of Blue Water Day Spa. 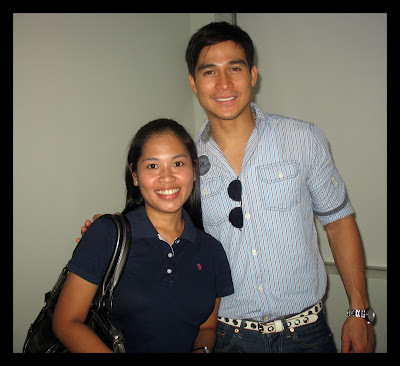 Meeting these two gorgeous people, especially Piolo Pascual, already brought me to cloud nine. Marian Rivera is like a doll with her beautiful face. If you’re still yearning for some TLC from a masseuse, Blue Water Day Spa has well-trained and courteous ladies waiting to take care of you. I love the concept of the rooms in the spa which are labeled as Heavenly, Tranquility, Serenity, etc… Just take your pick and I’m sure you’ll feel relaxed and revived all the same. The location of the newest branch is perfect! Going to the Capitol Hills branch is a relaxation for the body, mind and soul. 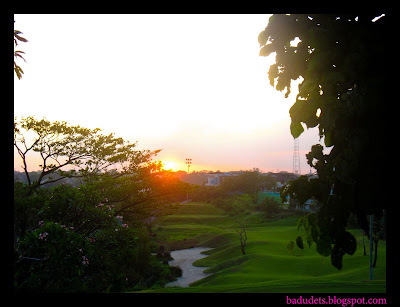 It’s surely an escape from the hustle and bustle of the city without leaving the city. Tucked away within the luscious greens of the golf course, visiting the spa literally meant a breathe of fresh air. And after your massage, go out, lounge and grab your cup of tea and watch the sunset…. Blackheads and whiteheads, especially in the nose area, are any vain person’s worst enemy! No matter how many times you get rid of them, they keep coming back. But hey, I’ve found my holy grail and I’m spreading the news! Remember those pore strips for the nose you’ve found in the malls that promises to get rid of blackheads and whiteheads but didn’t? I’ve tried any brand possible during my teenage years but all that’s left is a sticky nose with blackheads and whiteheads still. 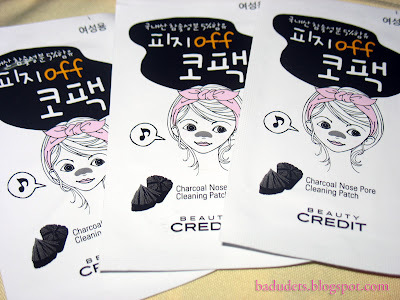 Absorbent charcoal removes black heads and sebum hidden in pores to keep skin clear and fair. I followed the instructions also found at the back of the package and waited for 15-20 minutes until the patch dried up on my nose. I gently lifted the nose patch and I’m surprised with the results. I never even thought that I have whiteheads that much but the evidence is on the nose patch. I can really see tiny specks of white on the patch. My nose literally felt clean afterwards. Even my mother who is now 62 years old uses the nose patch weekly. She’s now on its 4th patch and she said there aren’t much whiteheads and blackheads now compared to her first application of the nose patch. My mother is allergic to certain smells and would immediately sneeze when something irritates her nose. But the patch’s smell is not that strong and didn’t irritate her. I can’t seem to find the benefits of charcoal and how it helps to remove whiteheads and blackheads but I’ll leave it just that. 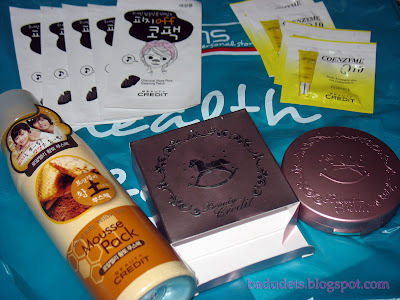 The Charcoal Nose Pore Cleaning Patch is my holy grail for now. I’m one of the selected 28 bloggers who won a chance to be the first to experience the first Spa Movie Theater at Blue Water Day Spa. By just submitting my entry, Mr. Francis Simisim of TechFilipino.com included me on the list of 28 bloggers. Unfortunately, my busy schedule hindered me to go to this luxurious experience at their Greenhills branch. But I didn’t fret that much because I can still enjoy spa treatments from Blue Water Day Spa at their Mother Ignacia branch in Quezon City. This branch is a few hops away from my office and whenever I need some pampering, it’s just a phone call away for appointment and a few minutes later, I’m inside their sauna. My favorite spa treatment is the Traditional Filipino Massage and Swedish Massage. Whenever I need some serious deep tissue massage for my aching muscles, I go for the Traditional Filipino Massage. On some days that I just need some R&R, I go for the Swedish Massage. Two weeks ago, I had my Swedish Massage courtesy of my fave masseuse, Ivy. The Blue Water Day Spa Mother Ignacia branch is maybe quite small compared to other spas but it will still make you feel relaxed with its ambiance. 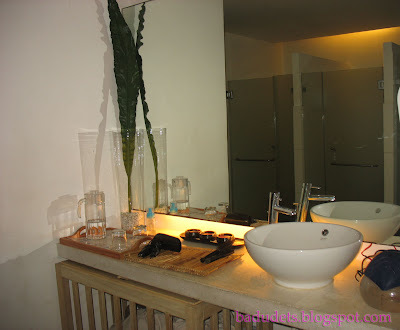 The lighting treatments in the spa gives you a cooling and relaxing effect already. At the reception, you will be greeted by their friendly staff, a slipper will be handed to you at once and they are also the ones to keep your shoes. The shower, sauna, lockers and massage area is upstairs, area for guys are on the left wing while the area for ladies are on the right wing. Guys will be welcomed by the huge photo of Piolo Pascual while ladies will be greeted by Marian Rivera’s gorgeous face at the top of the stairs. Shampoo, soaps and towels are provided, other items like hair blowers, straightening irons and variety of brushes are also laid out in the counter. 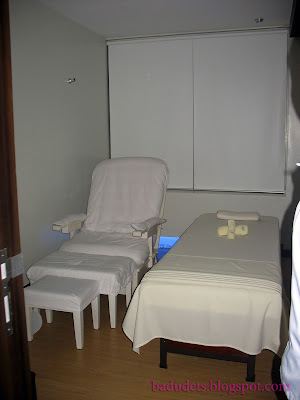 The Swedish Massage is an hour-long massage consisting of soft to medium strokes on muscles. My masseuse, Ivy, did a good job I dozed off at one point. I guess having a Swedish Massage is one of the cheap thrills I can give to myself for just Php 650. Traditional Filipino Massage is Php 950. Whenever there’s a good product or service, word-of-mouth is still a powerful tool to be known. 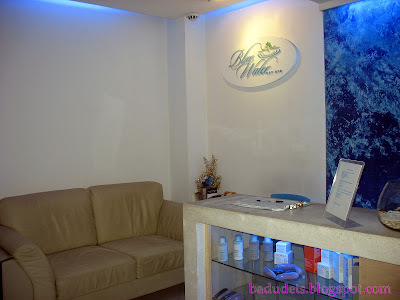 And that’s the advantage of Blue Water Day Spa, because of the good services I enjoyed, I recommended it to my friends and officemates and even posted at Girtalk forum at Femalenetwork.com. Oh, and even our Quality Manager in the office is a frequent customer, she’s so happy with the services that’s why she gave away gift certificates for a free massage and a Foot Smoother Scrub as an incentive for quality achievers in our company. Not just your ordinary spa… it’s a Spa Movie Theater! I was invited by Mr. Francis Simisim of Blue Water Day Spa to join the contest for a chance to win and experience the first Spa Movie Theater in the world! Yes, it’s the first in the world and you can be one of the few people to experience it by clicking the link to know more about the details. I always go for a Swedish Massage to ease my shoulder pains, though I’d love to try other services. And to have my foot spa in the Spa Movie Theater at their Ortigas Branch makes me excited already! 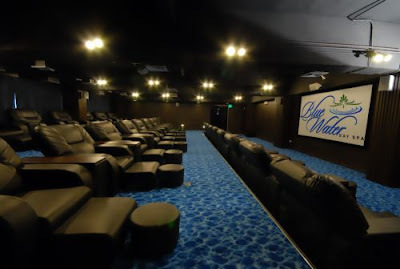 Spa Movie Theater – first in world! Come to think of it, having a foot spa can be such a bore especially when you’re all by yourself. You can bury yourself in magazines or better yet, bring along a friend to save you from a relaxing slumber while waiting for your foot spa session to finish. With the Spa Movie Theatre, it’s taking relaxation at the next level! You get to watch your favorite Blu-Ray movies, play PS3, sing your hearts out in videoke while making your feet happy. One perfect plan is to take your family with the kids in the Spa Movie Theatre and have a Spa Party, you can invite maximum of 28 people from your family/clan, it’s like having a family get-together on a Sunday! Moms and Dads will have their Foot Spa treatment and enjoying chit-chats while the kids will watch their favorite cartoon/kiddie movie. It’s also a great bonding moment with your girlfriends, high school reunions and bridal showers can also be held here. With the hustle and bustle around the city and the demands from our everyday chores, it’s perfectly okay to do something good to our body, take a long hot shower, have a massage, sip a warm cup of tea and watch a movie. 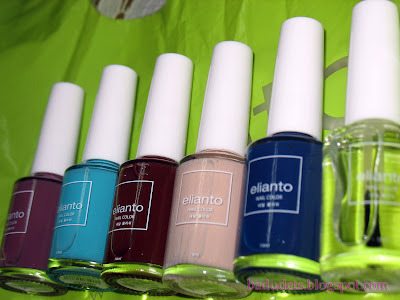 They also have branches at Greenhills, Alabang, Makati and Mother Ignacia and Capitol Hills, Quezon City.